Most people believe that the May Co. Department Stores began in St. Louis, since that city was its base for years. Few are aware that it started 10,000 feet in the air in a mining town in the Rocky Mountains west of Denver during a silver strike. David May was born in Kaiserlautern, Bavaria (Germany) in 1848. David May journeyed to the United States in 1864, at the age of 16. His family arrived in New York and settled soon after in Cincinnati, Ohio, where David May stayed until graduating from business school. Two years later, in 1877, May opened a dry goods store with his business partner, Moses Shoenberg. 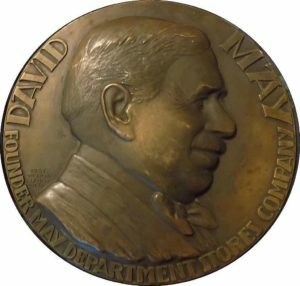 In 1887, David May bought a store in Denver, Colorado, entering into a partnership with Joseph and Louis Shoenberg, his brothers-in-law. In 1888, May sold the Leadville, Colorado store to Meyers Harris. 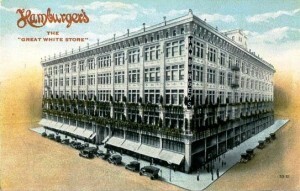 In 1892, May bought The Famous Clothing Store in St. Louis, Missouri. In 1898, May purchased another store in Cleveland, Ohio. He and his partners now called this business The May Company. In 1905, May’s business headquarters moved to St. Louis,. David May and his partners incorporated their growing number of stores as The May Department Stores Company in 1910. In 1911, the incorporated company became publicly traded on the New York Stock Exchange. Now the company could use “other peoples’ money” — stockholders investment money. 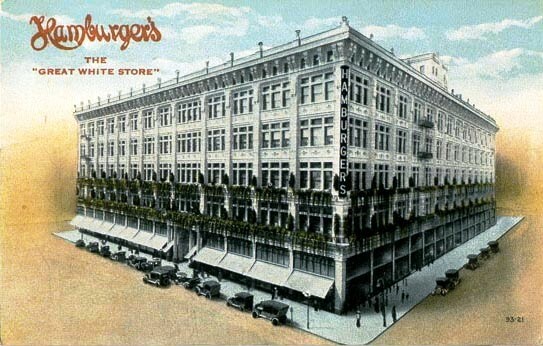 In 1911, May bought another St. Louis store, the William Bar Dry Goods Company, which he merged with The Famous Clothing Store. The new store was called Famous-Barr. 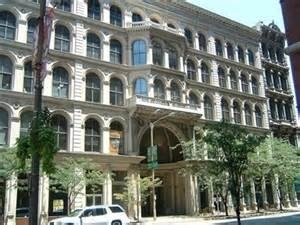 In 1912, May purchased the M. O’Neil Department Store in Akron, Ohio. He changed the name to May Company. Between 1927 and 1977, the May Company organization acquired many stores. Some stores had their names changed to May Company or derivatives of this name; others kept their names, but were run by the May Company under the leadership of the May family members. David May Bronze Coin, owned by Shawn Larson, 24″ 1030’s. See note below. 1939 was a successful year for the May Company, bringing in $100 million in sales, as well as the opening of the iconic May Co. on Wilshire Boulevard in Los Angeles. In 1880, David May married Rosa Shoenberg (b.1860), his partner’s sister, in Leadville, CO. They lived at 203 W. 5th Street in Leadville. They had three sons, Morton J. (b. 1881), Tom (b. 1883) and Wilbur (b. 1898), and a daughter, Florence (1903-1995). Morton J. May succeeded his father in running the May Company business. In 1957, his son, Morton D. May, became CEO of May Company and served as Chairman of the Board from 1967 to 1972. Tom May’s son, David May II, also joined the family business. David May II was a buyer of merchandise for the stores in 1933. He served on the Board of Directors from 1937 to 1947. Then, he left to pursue other business endeavors for a few years. In 1956, David May II became vice president and was the CFO by 1958. He worked for May Company until 1977, when he retired. In 1877, David May helped found the Hebrew Benevolent Association in Leadville. May served as vice president of the Temple and was a member of the building committee. He also supported the local Orthodox synagogue, Kneseth Israel. In Denver, May was active in Temple Emanuel. He helped found the National Jewish Hospital for Consumptives, a Denver hospital that opened in 1899 and treated tuberculosis victims from across the country. May was a board member of the NJH until his death. David May was a member of the Leadville B’nai B’rith chapter, beginning in 1879. In 1881, May was elected County Treasurer of Lake County. He served for two terms in the position. He also served the community as Director of the Leadville Board of Trade. 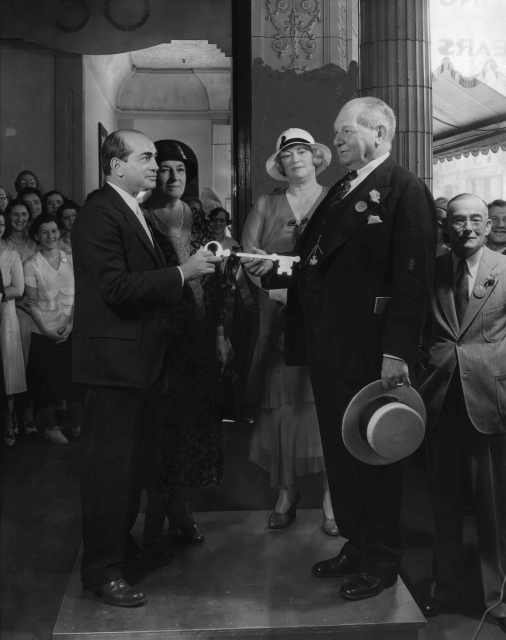 David and Rosa May were members of the Standard Club. Their daughter, Florence, was a benefactor and life trustee of the Museum of Modern Art in New York. She donated many works of art that she collected with her second husband, Samuel A. Marx. David May died in 1927 in Charlevoix, Michigan. Samantha Silver is curator of this David May exhibit.